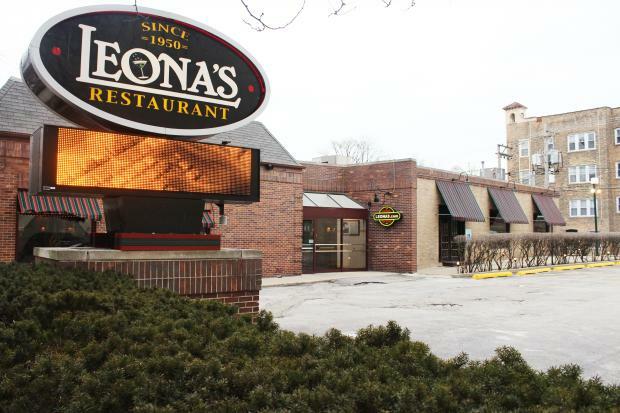 CHICAGO — The Leona's Restaurant chain has been sold for an undisclosed amount to attorney Tania Mavrakis, of Evanston, said Leona's now-former owner and CEO Leon Toia. Toia — the grandson of the Chicago-area chain's namesake — said he sold nine of the 11 remaining Leona's Restaurants to Mavrakis, whose uncle, Ted Mavrakis, owns Evanston's World of Beer. Toia said he still owns the real estate associated with the Leona's Restaurants and kept two of the restaurant locations, including the original Leona's that opened in 1950 at 3215 N. Sheffield Ave., which he'll rename "Lina's." "It’s very important to me: I kept the original Leona’s," Toia told DNAinfo Chicago on Monday. "I feel it and I love it and I’m there." The 60-year-old said he grew up in an apartment above the restaurant. Toia started looking for buyers for some of the chain's locations earlier this year. The restaurants were profitable but seeing a slump in sales, Toia said. Mavrakis confirmed she bought the nine Leona's stores in August and had planned to make the "big announcement" soon. She said that although all Leona's locations would get a new menu and a "facelift" by January, customers could expect the same Leona's feel they're accustomed to. All of the restaurants will remain open, she said. "It’s a Chicago institution, and we want to keep it that way," said the 38-year-old Mavrakis, an attorney who lives in Evanston. She declined to disclose for how much she paid for the Leona's brand. All Leona's employees would be retained in the move, she said, but would be given additional training to improve customer service. "We want people to be impressed," she said. "I want people to accept it with open arms and say, 'They are making the change for the better.'" The chain's Southwest Side commissary, at 3931 S. Leavitt St., was also sold in the deal. But Toia kept his Hop Haus bar and restaurant, at 7545 N. Clark St., and has partnered with longtime employee Rolland Alter to re-brand the business "Rollands." A new awning on the restaurant — with the new name and the tag line "Family - Food - Friends - Fun!" — was installed this week. Toia said he wants the restaurant to be "really focused on family" — rather than beer. He plans to expand the menu to offer more sandwiches and salads. Toia also said he plans to transform a now-closed Leona's location in Calumet City into a restaurant named "Tilly's," serving New Orleans-style food.